Hover 1 Quadacopter is called Human Eyesight Extension in the Air, which is invented for survey, inspection, rescue, tracking, and shooting, also can be a sporting drone . Hover 1 is equipped with high efficient power system, including T-Motor MN3508 KV380 motor, 1552 folding propeller and 40A OPTO ESC, to ensure Long flight time and make Hover 1 fly over the area such as highway traffic jam, fire place, flood stricken region, mountain, lake and coal area, where people can not reach and find out the emergency situation, and then transmit signal and image to the ground station. 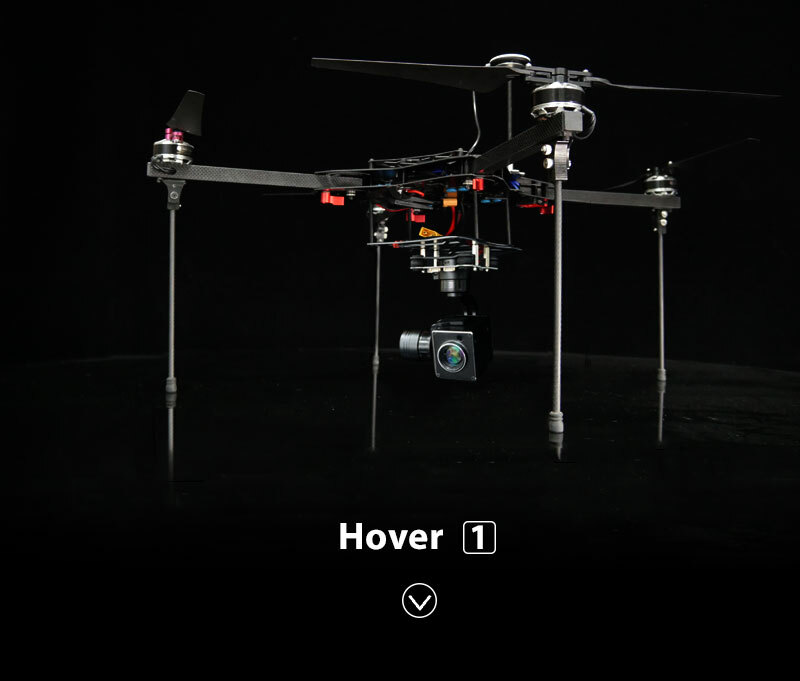 Hover 1 has two options of flight controller. One is NAZA-M V2 flight controller that is a very smart and easy to be controlled to fly way-point ( equal or less than16 way-point) and automaticlly land and return to original place. 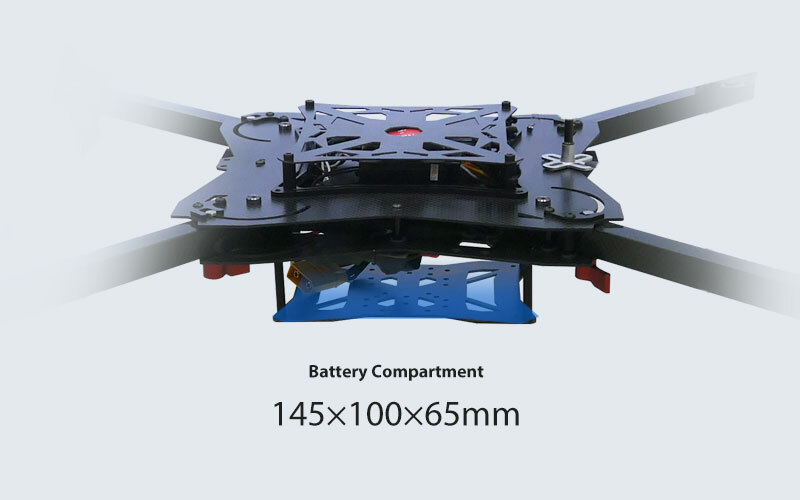 Another one is Radiolink Pixhawk flight controller that is very good at making HD shooting and accurate map-survey in low altitude flight, also some other powerful functions like automatic driving cruise, automatic landing and returning to make Hover 1 truly be a mini quadcopter that meet all your needs. 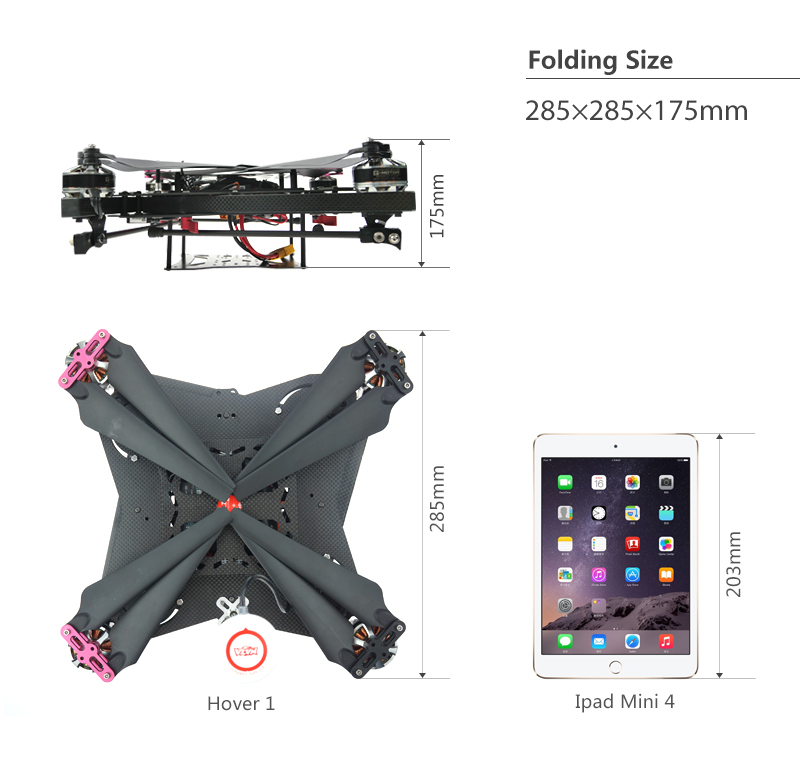 Hover 1 can be folded into a small size as ipad mini and put into a packbag to go travelling and anywhere due to folding arms, propellers and landing gears and light and durable 3k full carbon fiber material. 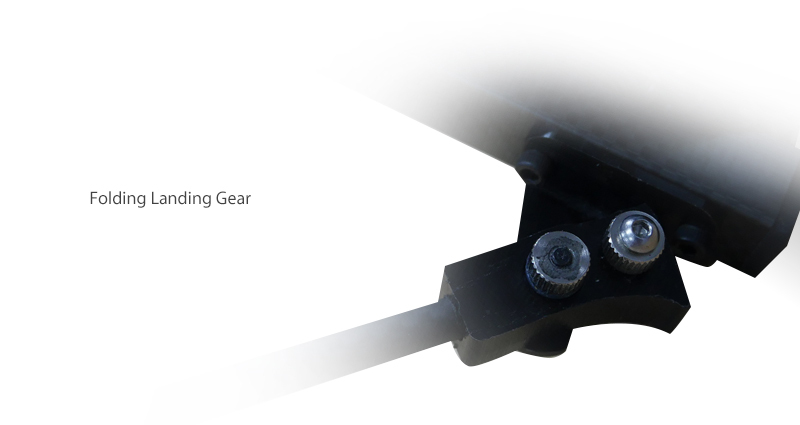 Coming with FH310Z or FH310W 10x zoom HD camera and 3 axis brushless gimbal, Hover 1 can do survey, inspection, rescue and tracking etc. as your third eye. 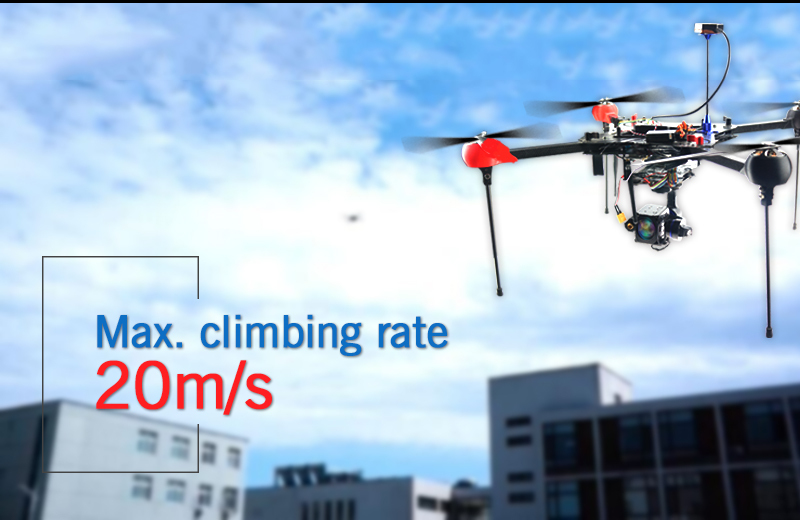 - Powerful and high efficiency power system ensures almost 1hour flying time.